Father's day is nearing~ What will you be giving the one who brought you up with priceless love from the very moment you started breathing the scent of this world? 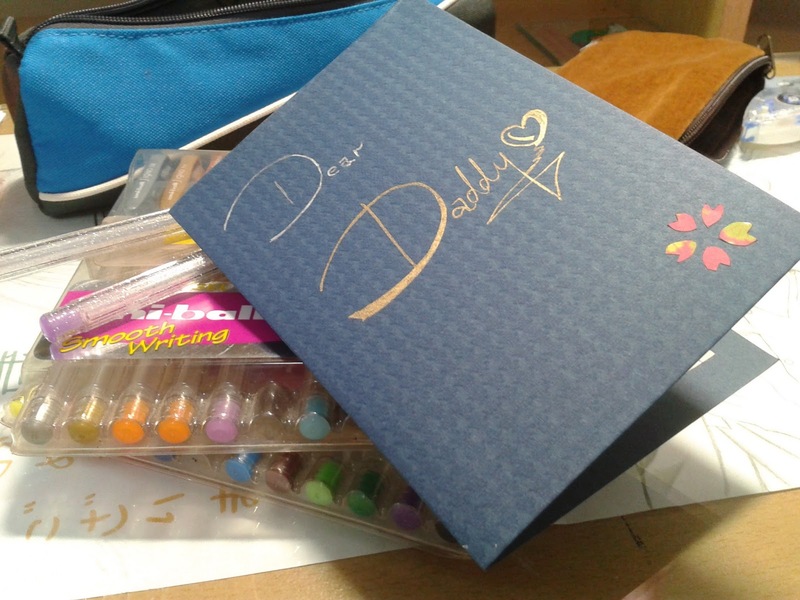 As of every year, my Gift of Thanks is a handmade card. This time, I have decided to go with a sakura theme. 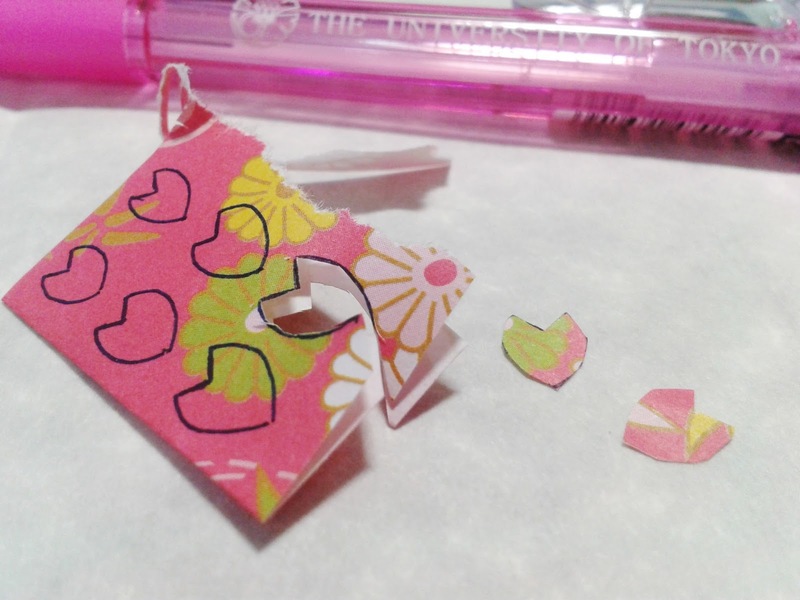 The origami paper that I have used here can be obtained easily from Daiso. Cut out and stick on the petals into a flower blossom arrangement. 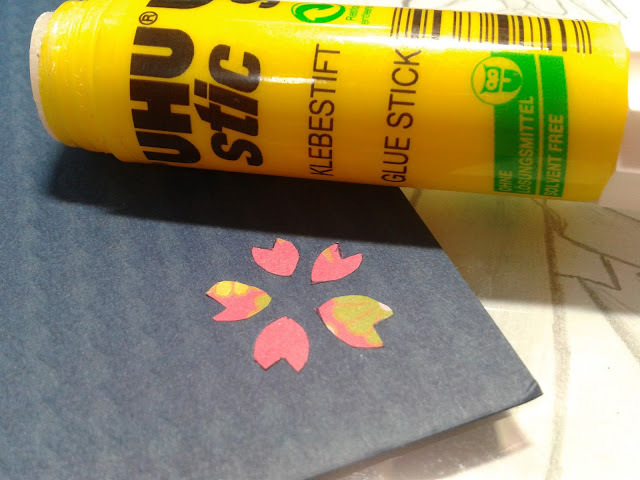 You can stick any remaining extra petals below and around the main flower to create a "petals shower" or "hanami" scene. Also, you can create more than one cherry blossom and frame your card with flowers.